Let’s welcome (M-14) Leland, Michigan’s new Port Captain Dan Cline! Dan has enjoyed cruising Lake Michigan with his wife Linda on their Island Packet 320 sailboat since 2004. They recently moved to Traverse City & their boat Wildwood berths close by at Betsie Bay Marina in Frankfort (M-16), where Linda holds her Port Captain title. Both are devoting time to exploring northern Lake Michigan, Green Bay, and the Great Lakes. Dan serves as a Director on the GLCC Board and is currently the Chair of the GLCCSchool committee, and previously served on the Club's Website committee. 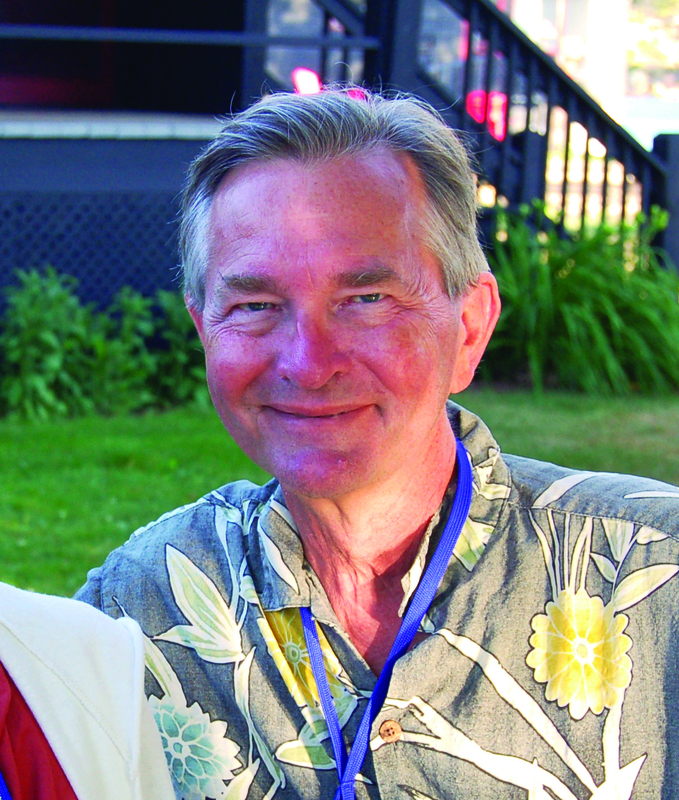 Linda began sailing Lake Michigan as a child, and introduced Dan to the sport shortly after their marriage in 1981. After racing Lightnings for several years, and spending many hours to canoeing and kayaking, in 2004 they graduated to large boat sailing and discovered the simultaneous joys of cruising and keeping their hors d'oeuvres dry. Dan and Linda have completed numerous courses on sailing, navigation, weather, and diesel engine maintenance offered through the ASA, Starpath School of Navigation, Delta College Sailing School, and the USPS. Leland is a delightful small tourist town with many fine shops and is a very popular transient harbor during the summer season. Dan looks forward to greeting you when you stop by.